The average retailer loses up to $25k per store per year — due to undetected items on the bottom of the basket. Ninety percent of these losses are due to the fact the cashier didn’t notice the items during checkout (the remaining are related to actual theft or sweet-hearting). BOB Defender stops bottom of the basket losses — in real-time — by identifying potential items and alerting cashiers to items below the cart. BOB Defender is an AI-based system that enables your store and front-end managers to detect, resolve, and monitor BOB related incidences – lowering shrink and enabling better cashier training and management. 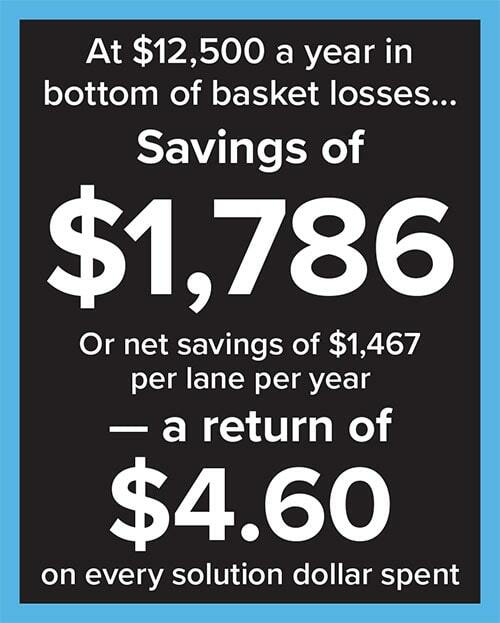 *Calculations based on pilot programs — using a store average of 7 checkout lanes over 5-year period. How much loss do you experience? 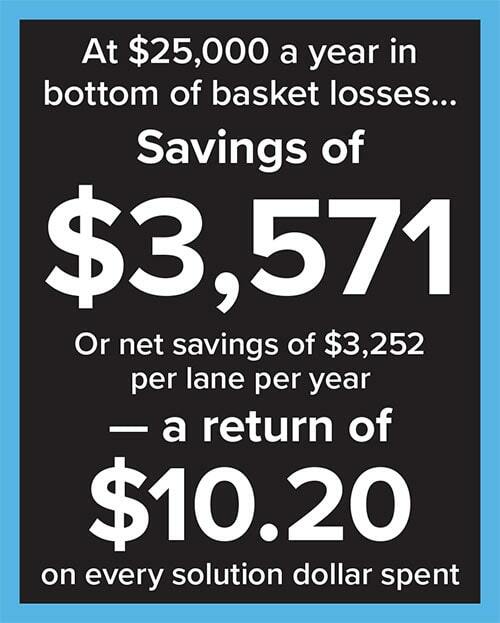 Ask us about our in-store loss assessment. 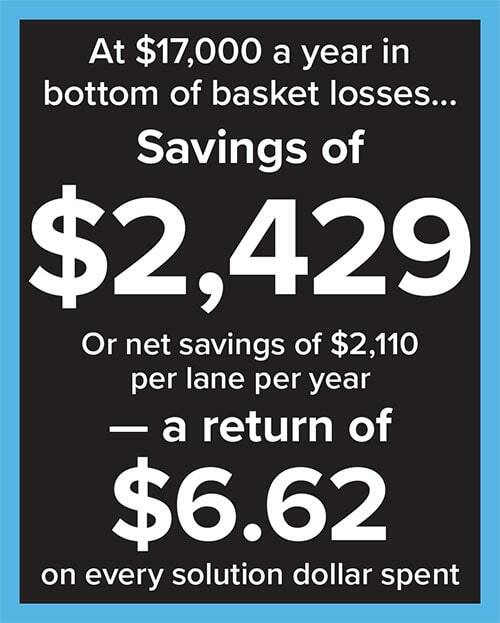 We can provide you with insight into how undetected bottom of basket losses are impacting your store. Contact us today at 844.783.8213.